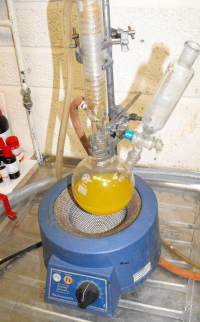 Using standard methods to isolate the chemical species under investigation and then identify the species and if necessary quantify the amount present. Identification can be achieved by a colour change or possibly pH. The amount present can be identified by the intensity of colour although this would normally be done instrumentally or by precipitation. 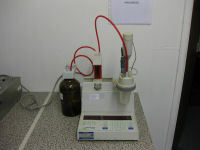 Adition of a Mettler Tolede Seven Compact has moved our pH measurement to the next level. combined with our selective Ion meter identification of ions in a range of solutions. Infrared Spectrophotometry : BS ISO 4650: 2012 FTIR analysis of plastics and rubbers using a range of methods including ATR. Analysis of oils to confirm identity and ageing effects. Tests include Polymers,rubbers and adhesives. Whether for QA/QC applications , studying processes or undertaking detailed polymer analysis we have available a variety of thermal analysis systems. Dynamic mechanical analysis (DMA) : mechanical stiffness & damping Clasic methos for Tg determination.